A double galley kitchen offers plenty of options for preparation, dining and storage space. Experiment with heights and depths of worktops to give the room interest. Curved drawers will also help prevent your kitchen feeling like a corridor. 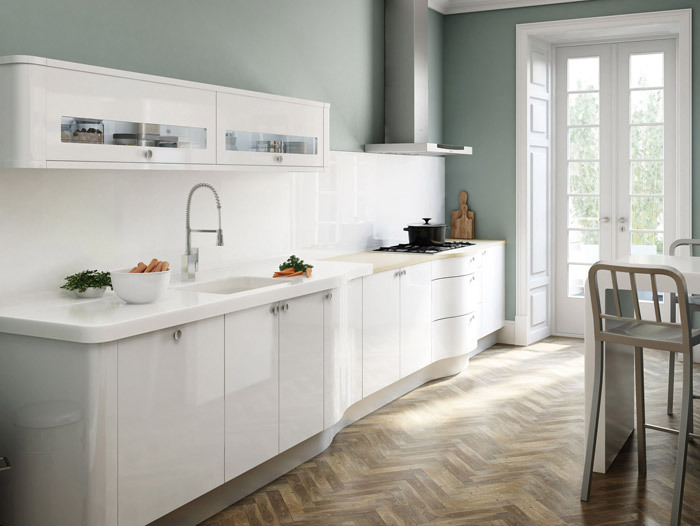 A moulded Corian worktop with integrated sink and dining space gives a sleek designer look.